Professor Sean Wilentz is a distinguished man, one of this year’s winners of the Bancroft Prize for history and chair of the American studies department at Princeton University. But in person he can remind you of the smart-aleck who sits in back of the class, with his playful eyes, crooked smile and signed photo of Bob Dylan in his office. Wilentz won the Bancroft, voted on by fellow historians, for “The Rise of American Democracy,” an 800-page chronicle of American political and social movements during the first half of the 19th century. 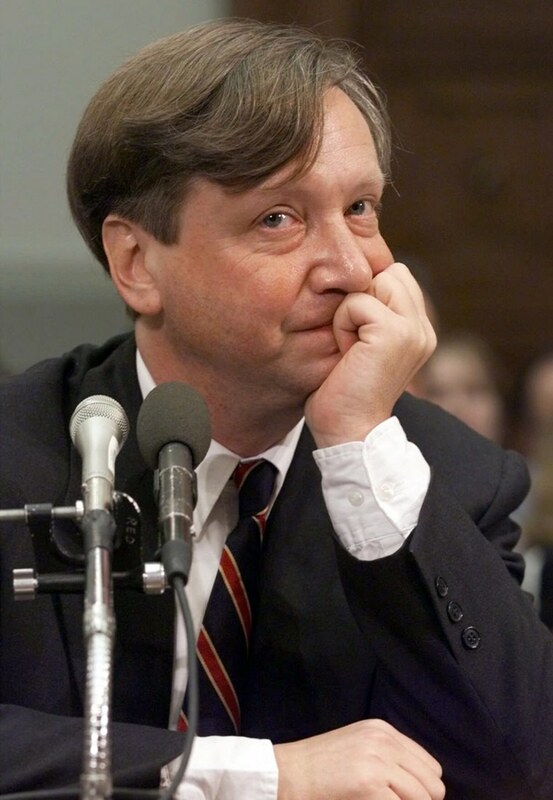 He is also a contributing editor to The New Republic and a Democrat who testified before Congress against the impeachment of President Clinton. In still another life, he’s a music critic. “I’ve always had a sense of multiple identities,” the author, half Irish and half Jewish, told The Associated Press during a recent interview at his office on a cold, rainy afternoon. Wilentz, 55, holds the untenured position of “historian-in-residence” at bobdylan.com, which features various writings by the professor on the bard. He was a Grammy nominee for his liner notes to Dylan’s “Live 1964,” a Carnegie Hall performance released in 2004. His commentary for “Live 1964” also brought him a Deems Taylor award from the American Society of Composers, Authors & Publishers (ASCAP), a prize handed out for outstanding media coverage of music. “I didn’t even know he was a historian. I know him as a Dylan writer,” says musician and ASCAP judge John Wesley Harding, who praised Wilentz’s writing for its balance of scholarship and passion. Dylan, then a young folk singer, came by the store, too, although Wilentz has no memory of actually meeting him. He did catch on early to his music and at age 13, thanks to his father’s connections, got to see the Carnegie Hall concert he later wrote about. “Like Bernstein striding to his podium, Dylan walked out of the wings, no announcement necessary, a fanfare of applause proclaiming who he was,” Wilentz wrote of the show, during which Dylan performed songs such as “It’s Alright Ma (I’m Only Bleeding)” that signaled his transition to rock ’n’ roller. In the spirit of Dylan, and the Beats, Wilentz says there were years when he “bumbled and stumbled,” although at the finest places: Columbia University, Oxford University and Yale University, where he received a Ph.D in history in 1980. In 1984, he debuted as an author with “Chants Democratic,” an acclaimed study of New York City’s working class before the Civil War. He has since edited several books, including “Major Problems in the Early Republic” and “The Rose & The Briar,” a compilation of essays about American music that includes entries by cartoonist R. Crumb and fiction writer Joyce Carol Oates, a fellow Princeton faculty member. Rosanne Cash was among those performing at a promotional event. “The Rise of American Democracy,” which includes blurbs from Pulitzer Prize-winning historian Arthur M. Schlesinger, Jr. and Pulitzer Prize-winning novelist Philip Roth, took 10 years to write and even longer to conceive. Emphasizing that his book is not a “great man” story, Wilentz regards political history as far more than leaders making speeches and signing bills, but of everyday people fighting, and sometimes winning. Wilentz writes of how this country transformed from an old-world aristocracy to a democracy, however imperfect, with workers, women and minorities increasingly claiming rights for themselves. “The Rise of American Democracy” begins with the aftermath of the American Revolution, when the very word “democracy” implied mob rule. At the time, only white men of property could vote and slavery was a peripheral issue discussed, then deferred, with the founders hoping it would die a natural death. But over the next century, the country would change in revolutionary ways. Andrew Jackson, the son of a backcountry farmer, would become president. Enfranchisement spread to men without property. Labor unions formed, women began asserting themselves and slavery emerged as the country’s unavoidable breaking point, the direct instigator of the Civil War. Presidents from Jackson to Abraham Lincoln are part of the story, but the real actors, Wilentz writes, are names far less known: Frances Wright, a British radical who advocated abolition and free love; Denmark Vesey, a free black hanged for allegedly encouraging insurrection among South Carolina slaves; Thomas Dorr, who led a working-class rebellion in Rhode Island so powerful that state officials declared martial law. Like history itself, democracy remains an ongoing argument. Wilentz’s book ends with the Civil War, but in real life the story continues. He notes that rights have expanded radically over the past 140 years, from blacks and women getting to vote, to government programs that offer economic and legal support. He also points out the setbacks, like the Southern backlash against Reconstruction that led to a long era of legal segregation. As a liberal, he worries now about increased economic inequality and increased presidential power, citing President Bush’s authorization of warrantless government wiretaps. “So long as the executive is eager to accumulate more power, and the Congress is willing, for the most part, to go along, checks and balances break down,” Wilentz says.